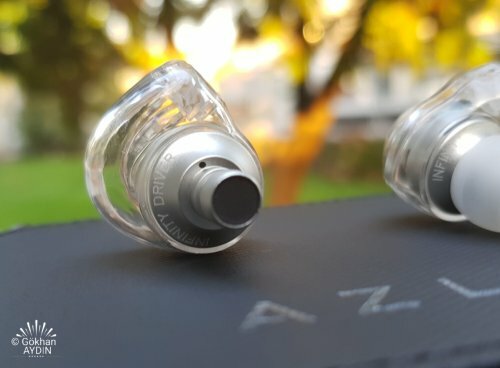 As the modern trend continues to exclude 3.5mm audio outputs from recently released popular smartphones, more and more audio brands present their pocket USB/wireless DACs to bring back the ability to use standard headphones and IEMs. Of course, external USB DACs for smartphones existed long before Apple has decided to get rid of analog output (leading others to do the same) but the main purpose was to maximize audio quality whilst physical characteristics such as dimensions and weight were not so important for a «true audiophile». The paradigm has changed. 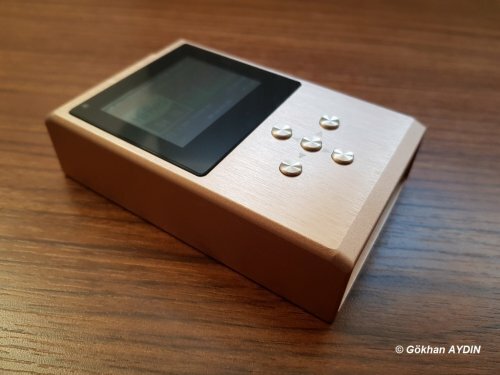 Current products in this niche would offer very small formfactor, no internal battery and low weight, representing kind of «clever» USB to 3.5mm adaptors rather than sophisticated DAC/AMP. Today, we would review Colorfly BT-C1 — Bluetooth/USB digital to analog converter / amplifier which stands somewhere inbetween the regular external battery powered USB DACs and current small digital to analog adaptors. 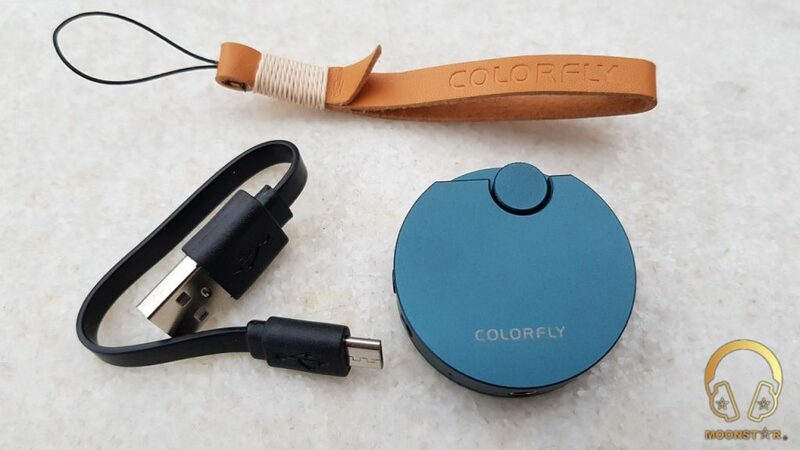 We think that there is no need to make the presentation of famous Colorfly brand — a brand that is well-known for high quality DAPs like C4Pro, C3, C10, C200. 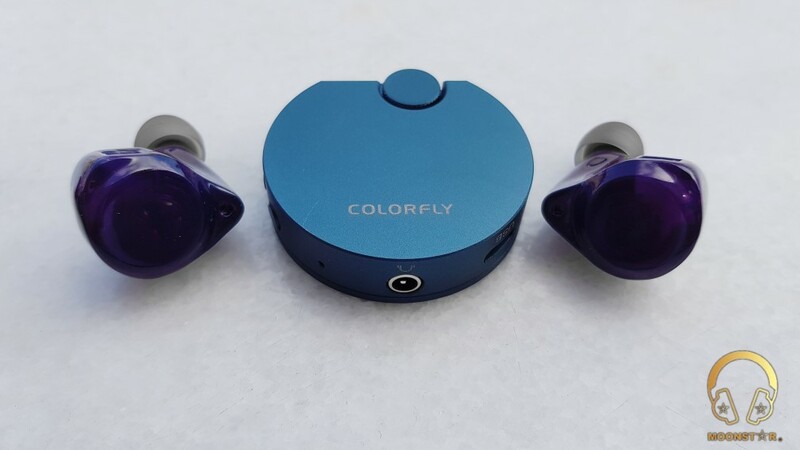 The only fact that is worth to mention is that Colorfly wasn’t very active for the past year and kept quiet for a long time until they’ve released BT-C1 DAC&AMP. Anyway, let’s move on and examine this device. BT-C1 comes in a small black box with full product description at the back. Folding facing part of the box contains short button operation manual underneath. We hoped to see more cables inside to get this device up and running with different sources straight out of the box. No luck. We had to find such adaptors as microUSB -> microUSB, microUSB -> microUSB type-C to be able to connect to our Xiaomi smartphones (Redmi Note 4X and Note 5). 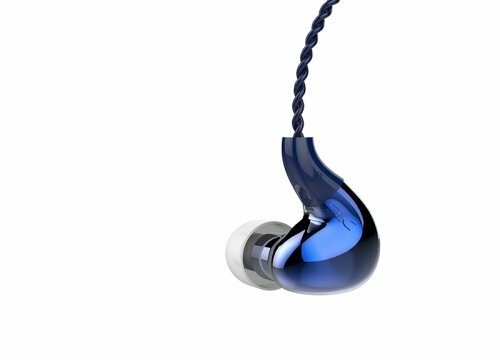 BT-C1 DAC is very small device, made of two aluminum parts while the bottom part is covered with glass that has anti-fingerprint coating. There are additional shell openings for multi-color state LED (upward facing side near the volume wheel) and microphone (next to button section). 3.5mm audio output and microUSB port are located at the bottom edge. Volume wheel feels tight and clicks with the descrete adjustments. Build quality is decent. This device is very small and lightweight despite the built in battery. 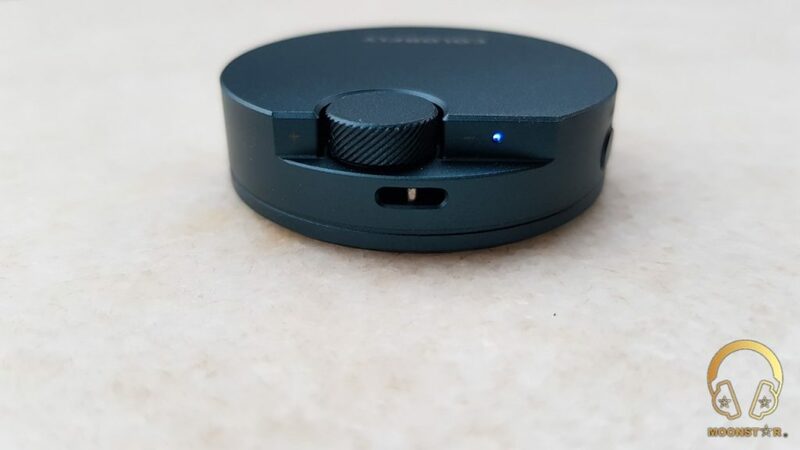 The only concern so far is the close location of audio output and microUSB port — space is enough to connect any headphones but looks weird and might be not so confrotable to carry around in the pocket. 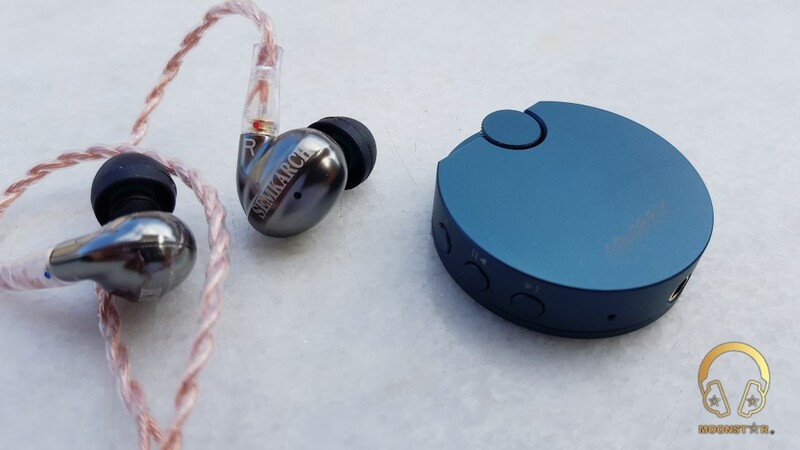 If there is not 3.5mm output and you have good headphones with 3.5mm jack — BT-C1 would be a good choice in terms of sound quality characteristics. This implies that you are not satisfied with the audio quality of your device or|and that is BT-C1 is surerior in this respect. There are some capable smarphones out there nowadays that would be directly competing, but only few. Same goes for the laptops. Tablets are usually left aside when it comes to audio quality — good that they can play sound at all In our case it is Xiaomi Redmi Note 4X smartphone with low power&low quality sound processing and Lenovo Y500 laptop with regular integrated IntelHD sound card. 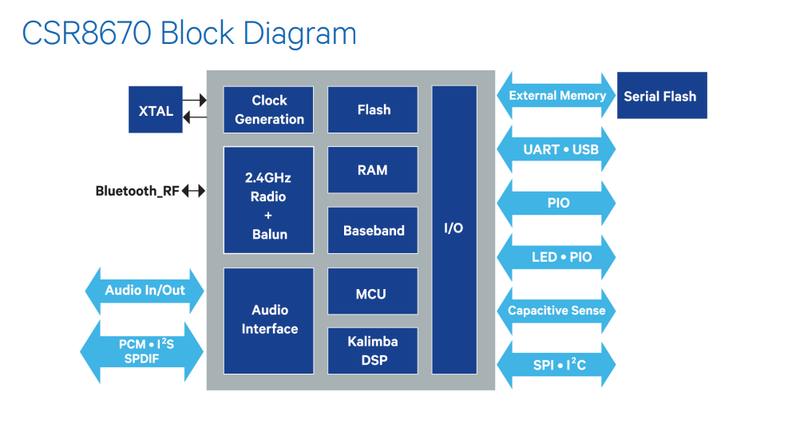 So, we would opt to use external USB DAC based on more capable DAC&AMP chips to increase the audio quality. 4. 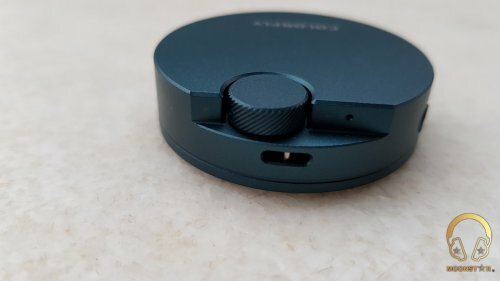 Using as a remote Bluetooth receiver for speakers or headphones. Perhaps, the most interesting option here. You can pair BT-C1 with 2 devices and stream music over Bluetooth AptX, AptX_LL or SBC from any source. 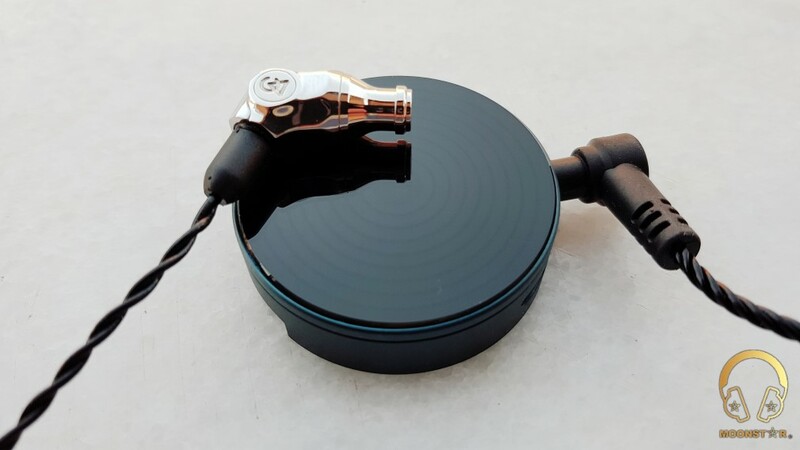 The battery inside would last for about 6 hours to let you carry this device around in your pocket or you can just place it on the shelf and connect to active speakers or home system and charge from time to time. The maximum distance we’ve got was ~12 meters at open space. No drivers are needed when connecting BT-C1 to Windows 10/MAC OS computers or iOS/Android smartphones. 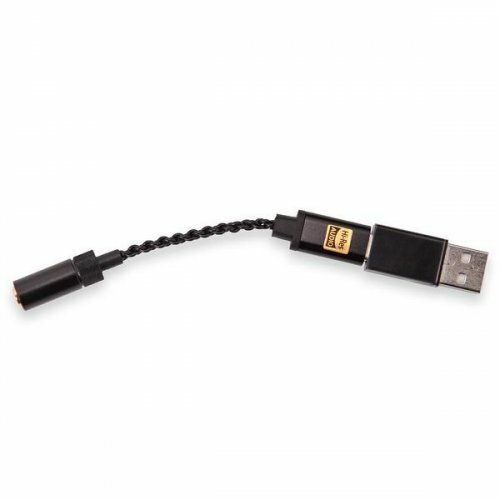 Just connect over USB with the corresponding cable and it would be recognized by the system. In case of Windows 10 it should be CSR8670 (playback and recording device). One important thing to mention here: Colorfly didn’t bother to add some different types of firmware options or to create the additional ASIO driver. This leaves us with using OS mixer instead of avoiding its influence. For example, Foobar2000 would only operate normally when pushing up to 16bit/48kHz over WASAPI to BT-C1 DAC while 24bit or higher sampling rates would require to run it through (DS, OS mixer) because BT-C1 driver wouldn’t declare corresponding working modes. This is not a problem for the most of the users but severe audiophiles would suffer a lot. Can’t tell anything about iOS or MAC OS — we don’t have any APPLE devices to test with. BT-C1 supports pairing with 2 devices. Pairing process is very easy — just hold PLAY|PAUSE button for more than 3 seconds to get into pairing mode and discover it with your smartphone. Note that there is a mic in BT-C1 that allows to accept calls from this device. No problems with connecting and streaming music (AptX, SBC). Everything works as expected. 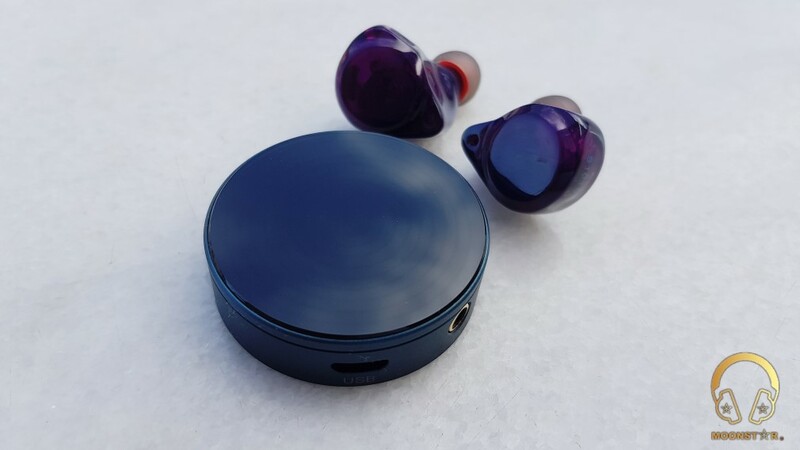 We would not describe sound quality when BT-C1 is connected to music source over Bluetooth. 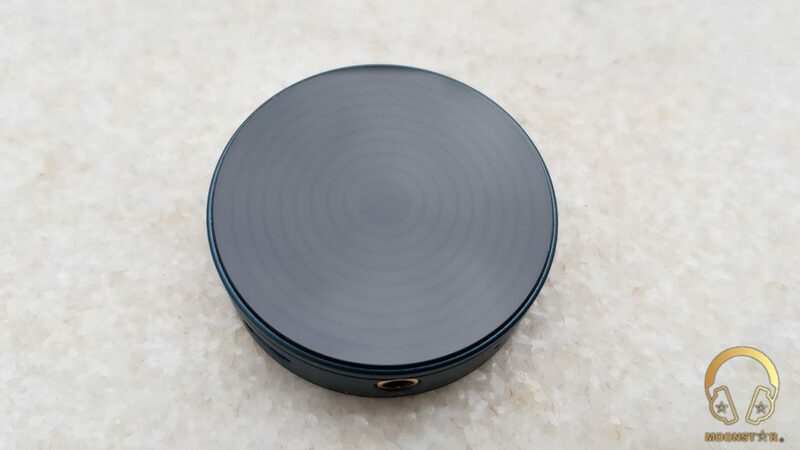 We are mostly interested in the maximum SQ this device is capable of which means testing it with the cable connection instead of using limited wireless protocols. Bluetooth works fine, shows no interruptions, connects over AptX or SBC and gives the maximum you can expect from this type of usage scenario. Power output of Redmi Note 4X smartphone is very close to BT-C1 — both have ~30-32mW. Therefore, we are not waiting much of a change in the overall dynamics, power of midbass or volume. In fact, there is almost no difference in max volume level between smartphone output and BT-C1. The main differences are about tonality and resolution. Lower frequencies have better extension, are much more textured, shaped and controlled with the external DAC. Layering is better as well not letting different instuments or the entire ranges to overlap. And there is also less evident elevation of upper mids resulting in more neutral sound. Treble portion gets more details and extension as well. 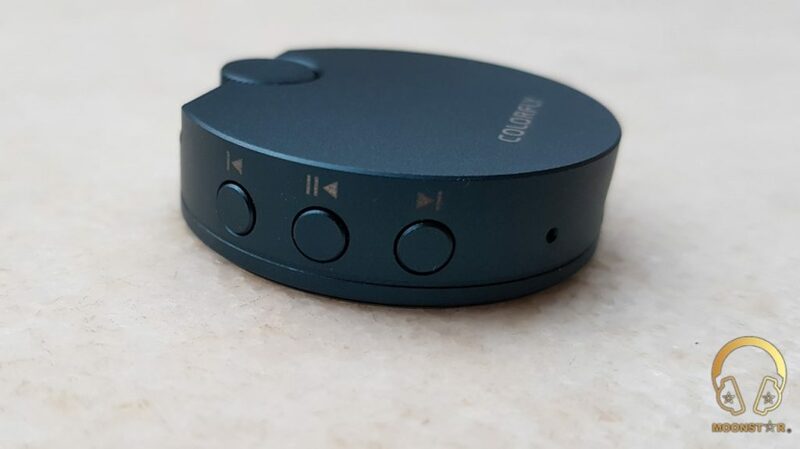 The problem with Xiaomi output is that it lacks the clarity and mixes all sounds together… Most of the DACs we have tested had much better sound picture. BT-C1 is showing the same — better resolution and extension of lows/treble, better separation/ layering and more neutral sound throughout the entire range, at least with the same volume level set on both outputs. However, midbass dynamics, power and overal expression gets better with the increase of volume of our laptop. This is not a surprise due to much higher output power and driving ability of Y500 integrated sound card. We feel that 32mW produced by smarpthome or BT-C1 is not enough to drive our 50Ω full-sized ATH-M50 headphones to the appropriate level. The situation got better after connecting BT-C1 to active speakers. Therefore, we can conclude that BT-C1 DAC does require external amplification to outperform our laptop and maintain significant SQ advantages at any volume level. *BT-C1 battery is charging from a source device. Audirect BEAM is another USB DAC adaptor but is powered from USB and doesn’t have its own battery. It is smaller, more comfortable to carry in your pocket due to rectangular shape and less weight. The main difference to BT-C1 is that it doesn’t feature Bluetooth. Soundwise BEAM is having brighter tonality with more emphasis on upper mids and lower treble creating a feel of unnatural excessive clarity. Colorfly is more neutral in overall, with just a little impact on bass and great texturing of lows. Male and female vocals reproduced by BT-C1 sound more natural and balanced but at the same time less emotional. 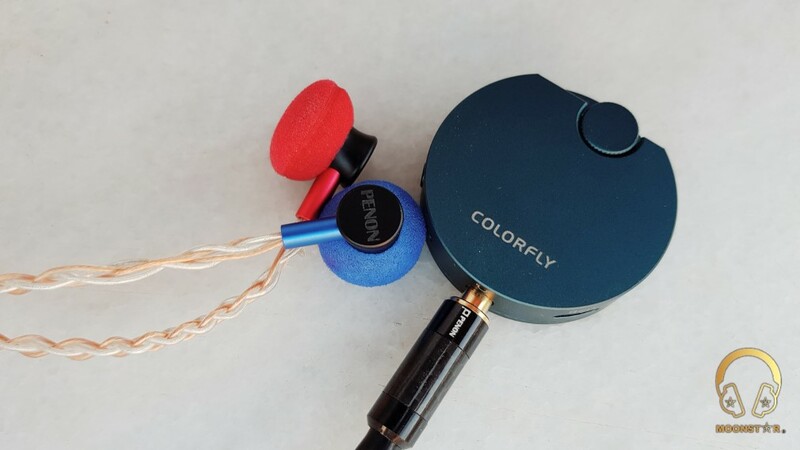 In terms of audio quality Colorfly BT-C1 has managed to outperform both — smartphone and laptop audio outputs, proving once again that external DAC is more capable than many regular integrated audio HW solutions. 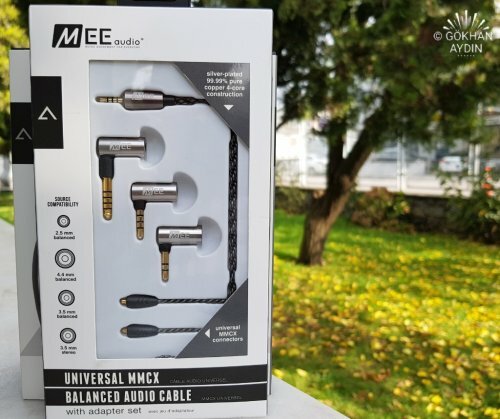 There is no evident coloration to the overall tonality which means that this device is universal for performing any kind of genres and passing audio to any end point audio equipment. Moreover, the formfactor and physical controls allows to use this DAC in a pocket or as a part of audio system with ease. 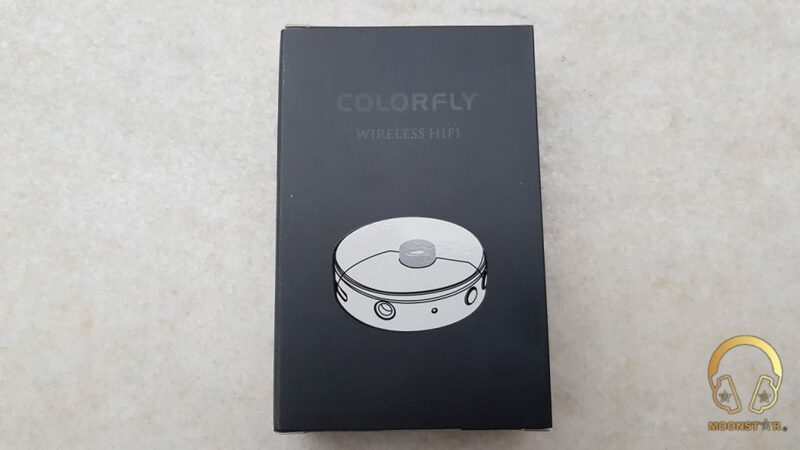 People from Colorfly could have gone further and make this device even better by releasing dedicated ASIO driver and supplying more output power. But even the current state of things is allowing numerous usage scenarios. The most interesting one is using BT-C1 to stream music to active speakers of audio system over Bluetooth. The rest is up to you! 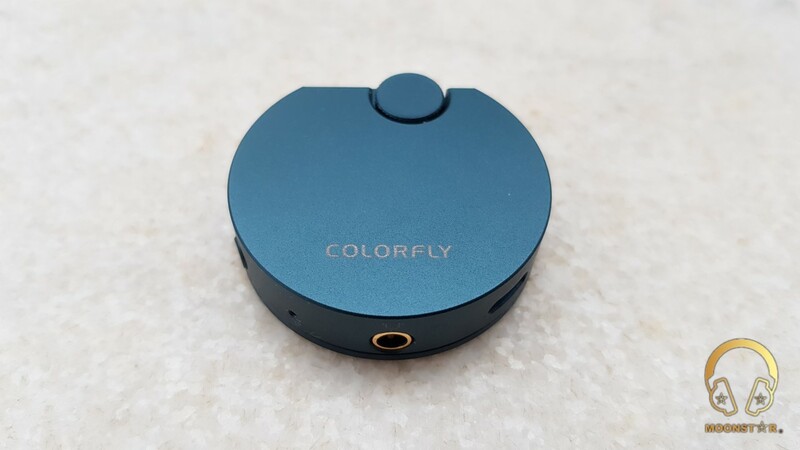 The Colorfly BT-C1 is able to work continuously for about 5.5 - 6 hours with approx 70% volume, which is quite good for such a tiny device with wireless sound transmission capabilities. endia and hqssui like this.